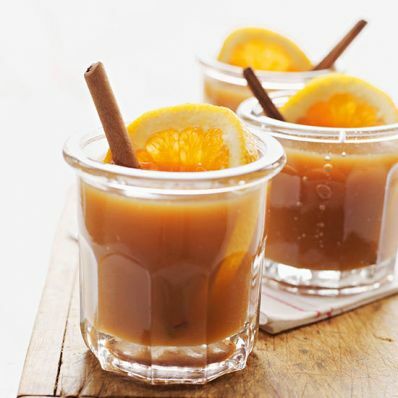 1 of 2 In a large saucepan, combine apple cider, orange slices, brown sugar, cloves, star anise pods and cinnamon sticks. Bring to a simmer. Remove from heat and allow to steep at least 2 hours. 2 of 2 Strain out spices before serving.